God has called LifeChangers International to demonstrate the Kingdom of God “on earth, as it is in heaven” through three points of “LIFE” by..
.Equipping…- Every member in the Word of Faith.- Every member for the ministry of evangelism, discipleship and healing.- The Family of God to live in Covenant. Preparing…- A place for the manifestation of God’s presence and power through Praise, Worship and Prayer.- The Church for the imminent return of Jesus for His Bride. We believe that in order to live the holy and fruitful lives that God intends for us, we need to be baptized in water and be filled with the power of the Holy Spirit. - We believe in the power and significance of the Church and the necessity of believers to meet regularly together for fellowship, prayer and the equipping of the saints by the Word of God. - We believe that God has individually equipped us so that we can successfully achieve His purpose for our lives which is to worship God, fulfill our role in the Church, serve the community in which we live and reach a lost and dying world with the gospel of Jesus Christ.- We believe that God wants to heal and transform us so that we can live healthy and blessed lives in order to help others more effectively. - We believe that our eternal destination of either Heaven or hell is determined by our response to the Lord Jesus Christ.- We believe that the Lord Jesus Christ is coming back again as He promised.  Life Changers International is located at 202 Sugar Hollow Road in Pigeon Forge, Tennessee. DIRECTIONS: Traveling from Sevierville on the Parkway, turn left at traffic light #1 in Pigeon Forge. LCI is a regional church with members coming from Knoxville, Strawberry Plains, New Market, Dandridge, Kodak, Sevierville, Maryville, Seymour, Pigeon Forge and Gatlinburg.